Offering style, sophistication, and elegance to any setting, be it a living or sitting, the Flavel Regent LFE bronze gas fire will take you and your houseguests to a different time and place reminiscent of the days of old and keep you warm all the while. The beautiful living flame effect creates a decidedly romantic ambiance and a charming feel that cannot be replicated with any other gas fires under any other conditions. 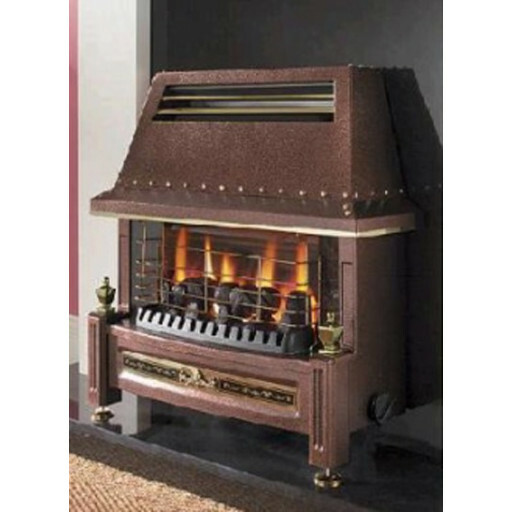 With its lovely detailing and sturdy, high-quality construction, the Flavel Regent LFE gas fire in bronze promises to be the centre point for delightful holiday parties and family get-togethers lasting long into the evening and into the following day. Customers with a practical mind-set will appreciate this gas fires low running costs and the company's warranty, which lasts three full years from the time of purchase, ensuring comfort, satisfaction, and reliability that will have customers coming back and recommending this gas fire to their friends, colleagues, and associates, who will surely enjoy calling this lovely fire their own, as well. Bought this for my mother as her other one finally packed up after 15 years,she is well suited.